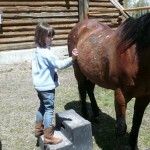 We have a full program of dude ranch kids activities for the younger guests (minimum age 7). 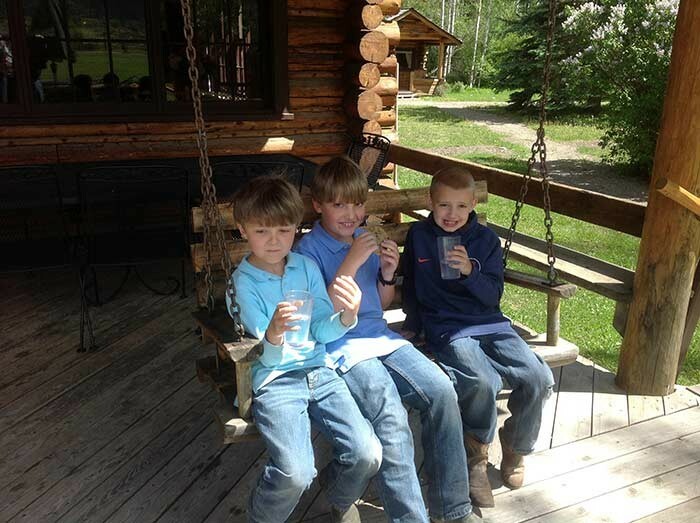 Our special counselor and wranglers for children allow parents more freedom to enjoy some of their own activities. 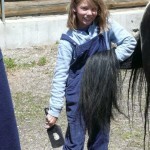 Interest for both children and teenagers centers around the horses. 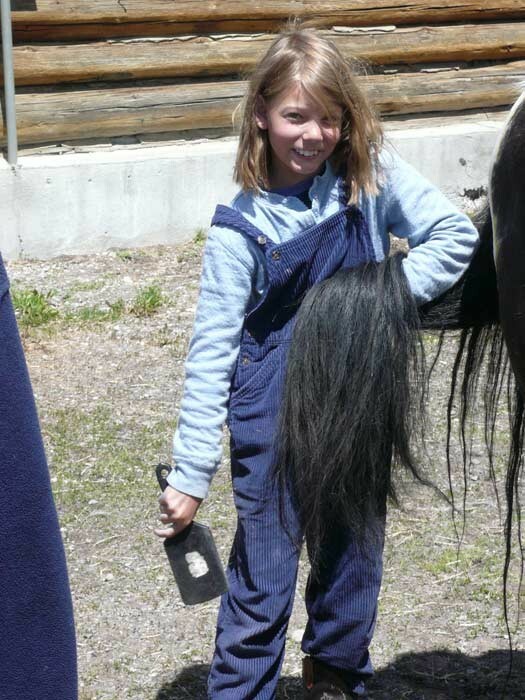 Their special riding program includes instruction, gymkhanas (games on horseback), half-day trail rides and all-day rides to nearby mountain lakes. 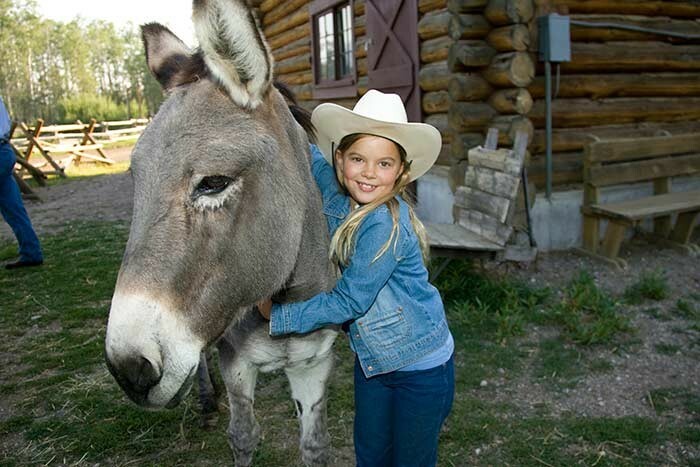 The younger guests normally ride separate from the adults with their own wranglers, but family rides are scheduled throughout the week and includes a breakfast ride that ends with a hearty meal beside our beautiful fish pond, or to Phelps Lake for a lunch and then a jump off the “rock” into the refreshing lake. 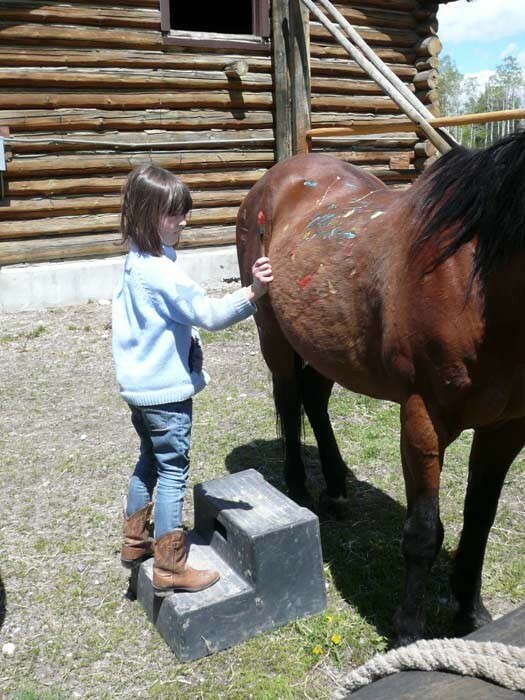 Our dude ranch kids activities involve far more than horseback riding. Our recreation room is equipped to provide indoor activities and non-stop fun. An outdoor area is equipped with a horseshoe pit and volleyball court. 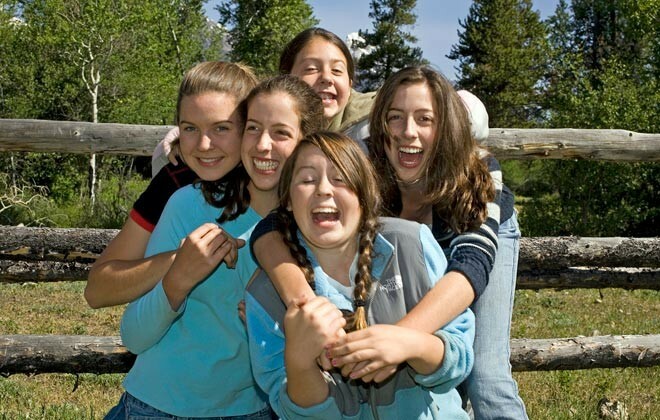 Daily after-dinner events for everyone include softball games, capture the flag, accompanied rides to the rodeo, s’mores by a campfire and talent night. 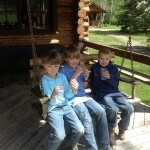 Dude ranch kids activities at R Lazy S ensure your young ones will enjoy a memorable vacation. "Daily after-dinner events for everyone include softball games, capture the flag, accompanied rides to the rodeo, s'mores by a campfire and talent night."